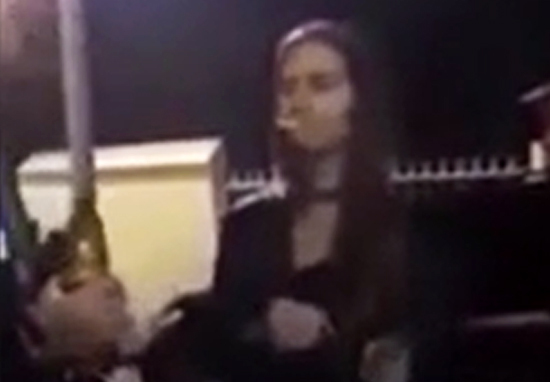 Shocking footage of a man punching a young woman in the mouth after she flicked her match at him has emerged online. 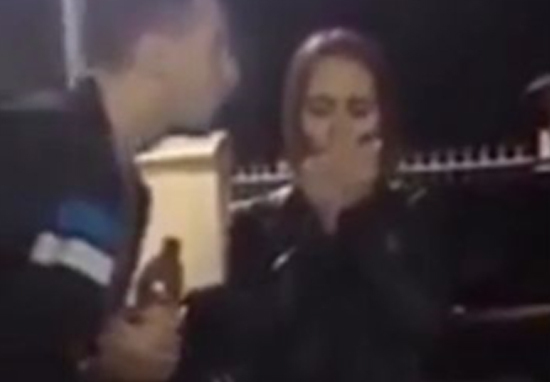 The impact of the punch knocked the woman to the floor seeimingly unconscious. She is helped back to her feet by a stunned passer-by and, somewhat strangely, her attacker also walks over to assist. The violent incident took place outside of Milk nightclub, in the Russian city of Ulyanovsk. However, the identities of the two people involved are unknown and it is also unclear whether or not police reports were made. It is believed the pair of clubbers had been having a conversation before events took a nasty turn. A witness later recounted how the attacker stood closer to the girl to blow out her match as she lit up a cigarette. This reportedly irritated her, and she flicked a match at him. The thuggish individual threw a vicious blow in response leaving the woman lying on her back on the ground, seemingly out cold. Nobody should have to go out on a night-out worrying about their safety, but unfortunately there are individuals out there who will put others in danger. Incidents such as this can prove fatal, as shown in the case of 27-year-old Esinkumo Ayabowei who died after a single punch to the face outside Peep nightclub in Bangor, North Wales. Father of two Esinkumo suffered a broken jaw and a fractured skull on account of the unprovoked attack, which took place in April 2017. He never regained consciousness and later passed away. His attacker, 26-year-old Kieran Roberts, has now been sentenced to six years and nine months in prison. Before the attack, Roberts had chillingly boasted about how he was ‘going to bang someone out tonight’. It is not known what the extent of the young woman’s injuries are, however we wish her a full recovery.